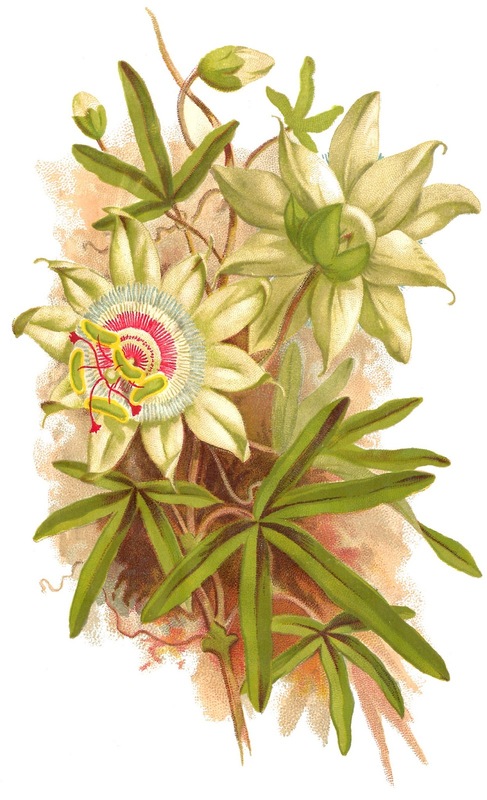 What a stunningly gorgeous digital botanical download of the Passion Flower. Beautifully detailed and colorful, this digital flower image will highlight any project. The large, white flower with pretty petals surrounding a bullseye design of color is incredible. 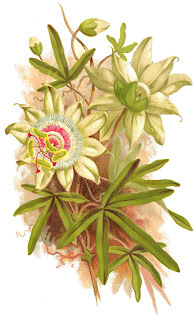 Even the muted background of the flower illustration is beautiful and helps the flower image pop forward!